ROCHESTER, N.Y. -- U.S. Attorney James P. Kennedy, Jr. announced today that Paul Kozlyuk, 32, of Brockport, NY, who was convicted of aiding and abetting the unlawful transfer, possession, and use of identification documents, authentication features, and information, was sentenced to serve 27 months in prison by U.S. District Judge Elizabeth A. Wolford to. The defendant was also ordered to pay more than $95,000 in restitution to victim businesses. Assistant U.S. 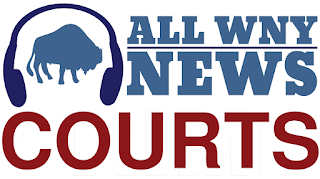 Attorneys Kyle Rossi and Melissa Marangola, who handled the case, stated that the defendant conspired with co-defendant Kyle Bertrand and others, to steal goods from various businesses. As part of the scheme, defendant Bertrand stole the identification of individuals residing in multiple states, including their names, Social Security Numbers, dates of birth, and credit card information. During the scheme, using the stolen identifications, Bertrand, at the request of Kozlyuk, made unlawful purchases of items for the defendant. Kozlyuk then paid Kyle Bertrand with Walmart money grams. Kozlyuk paid Bertrand a fraction of the actual market price of the stolen goods, and either kept the goods or sold them for a profit, through his former business, the Marketview Heights Garage. Kozlyuk unlawfully obtained vehicle parts from various out-of-state venders, which he later sold to vendors. Kozlyuk also stole inventory from vendors in the Western District of New York. All told, Kozlyuk stole or attempted to steal a total of $144,688.35 in goods. Kozlyuk was charged along with co-defendants Kyle Bertrand, Herbert Street, Michael Gerone, and Richard Lipke. All defendants have been convicted. Today’s sentencing is the result of an investigation by the New York State Police, under the direction of Major Eric Laughton; the Rochester Police Department, under the direction of Chief Mark Simmons, and Federal Bureau of Investigation, under the direction of Special Agent-in-Charge Gary Loeffert.